My destination: a 76-square-mile fortress of rock that’s marooned 23 miles off the coast of Los Angeles. Catalina is one of eight of the Channel Islands, and it’s the only one with a significant civilian population. Latest figures put the number around 4,000 people, almost all of them clustered in the port of Avalon. This diminutive city creeps up on the horizon like a postcard of tiny cake-colored homes perched along a crescent of golden sand. Some might recall Avalon as the town where Marilyn Monroe lived when she was still Norma Jeane, or the place where Natalie Wood mysteriously drowned in its coastal waters. Others might remember it as the city where the Chicago Cubs held their spring training from 1921 to 1951 — except for a short break during World War II. The island had been bought in 1919 by chewing-gum magnate and Cubs owner William Wrigley Jr., who began developing it into a tourist destination while promising to protect it for future generations. 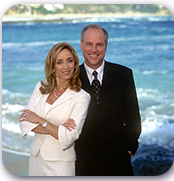 In the 1970s, the Wrigley family donated 88 percent of the land to the Catalina Island Conservancy. Last year, the nonprofit conservancy expanded its already lengthy backcountry trail network with 27 miles of new and enhanced pathways. The chance to tread these fresh trails is what lured me to Catalina. But before I headed off into the bush, I wanted a quick taste of the old Hollywood glamour Wrigley helped inspire. I dodged residents in golf carts as I walked from the pier to the beachfront Pavilion Hotel, where I settled in to a banana-colored room. That evening, I grabbed a sumptuous swordfish dinner at the elegant Avalon Grille and capped the night off with a movie (“Black Panther”) at the (gambling-free) Catalina Casino. Wrigley built this ornate movie palace with cherry wood paneling and art deco murals in 1929 at a cost of $2 million. The next morning I took a 30-minute drive on the Wildlands Express shuttle to Airport in the Sky, a small airstrip near the island’s highest elevation and the starting point for my two-day hike. The plan was to camp one night at Little Harbor, on the sunbaked west coast, before continuing to the island’s second city of Two Harbors the following day. I had a backpack stuffed with a sleeping bag, tent and other camping supplies, so by starting at the airport, I was able to skip a grueling, 14-mile uphill leg. The first 7 miles of my journey were along Big Springs Ridge, a newly created (and mostly downhill) portion of the 38-mile Trans-Catalina Trail, which skirts the entire island. New paths like this one are part of a plan to lure outdoor enthusiasts into the island’s 42,000 acres of wildland. 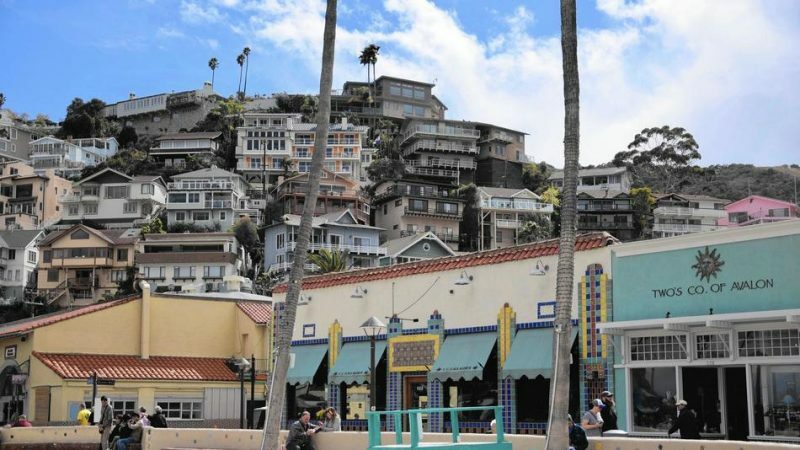 It’s a lofty goal, especially when you consider that tourism officials estimate that less than 10 percent of visitors set foot outside of Avalon. Those who do are greeted with sweeping hilltop views of the mainland that stretch from Santa Barbara to the Mexican border. There are also vistas of secluded canyons on the dusty path down to Little Harbor Campground. Catalina Island, off the coast of California, has plenty to explore beyond the borders of the main town, Avalon, which has its own charms. Little Harbor felt oddly tropical for these desert environs. When I checked in to the campground, I asked a local park ranger why. His answer: Hollywood. The beach stood in for Tahiti in the 1935 version of “Mutiny on the Bounty,” starring Clark Gable. The next morning, I found the bison where I least expected them: hiding behind prickly cactuses at the edge of my exit path. It took some careful maneuvering to edge past the bison at an appropriate distance; gorings are rare, but they have happened. Once I was safely past, there was nothing but blue sky and open ocean in front of me as I hiked the Lower Jensen Hunting Road. Day two was a demanding 6-mile uphill push along the rolling ridgelines of the desolate and wind-swept west coast. The salty air and lack of shade conspired to crack my skin into cobwebs by the time I finally descended into the village of Two Harbors. As its name suggests, Two Harbors claims an enviable setting on a thin isthmus where you can see both sunrise and sunset. On the windward side, I hiked a new milelong trail to an overlook above Catalina Harbor, a thin bay with boats bobbing atop shallow turquoise waters. The deeper cobalt seas of Isthmus Cove sit on the leeward side, serving as the front yard for a tiny resort village. Two Harbors has a decidedly laidback vibe. About 300 people live here, and they appear to have no desire for Avalon’s frivolities, such as dollhouse architecture or even paved roads. Nor do these barefooted boaters seem to need much in the way of modern conveniences. You’ll find only one hotel, one general store and one restaurant, which moonlights as a bustling bar by night. Two Harbors Campground lies half a mile east of town along Little Fisherman’s Cove. Its glamping-style cottages and flattened tent lots spill down a terraced hill like an amphitheater overlooking the sea. My lot, No. 11, sat by the lapping waves with a privileged view back at the mainland. Gazing at the orange glow of Los Angeles that evening, I was reminded that no matter how far away I felt at the moment, I was only 23 miles from the second-largest city in the U.S. Technically, I was still in Los Angeles County. The next day, a ferry would pick me up in Two Harbors and deposit me back in the very city whose Hollywood titans turned this off-the-grid island into a place with glamorous movie halls, Polynesian beaches and herds of bison roaming the lonely canyons. But for that night, it was just me and the stars above.